Eric is a fun, down-to-earth, and highly interactive speaker your audience will rave about! Selecting the right speaker for your event can help make it a huge success! It might even make you look good, too. We want to help you choose the right speaker. This page provides you with some of what you can expect when you hire Eric. Thank you for considering us! 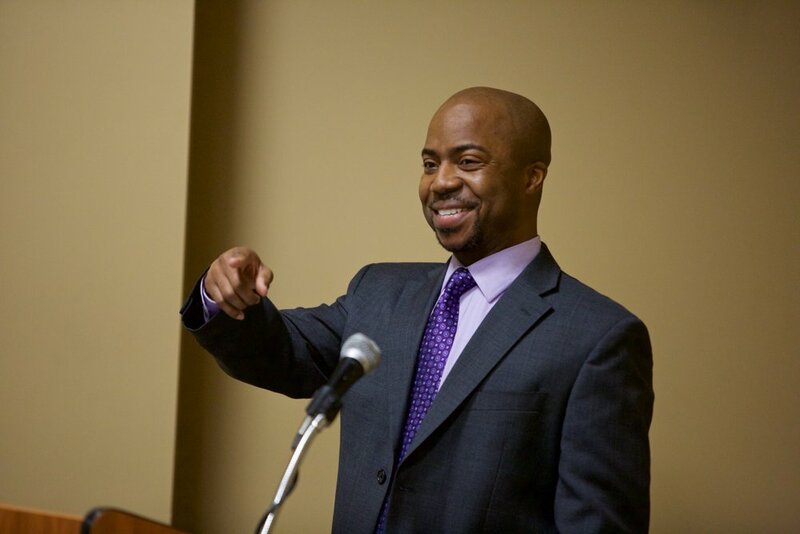 Eric J. Watts is a dynamic speaker! More than that, he's a fun, down-to-earth, and highly interactive speaker your audience will rave about! Selecting the right speaker for your event can help make it a huge success! It might even make you look good, too. But if you choose the wrong speaker, it'll be talked about negatively for a long time. We want to help you choose the right speaker. This page provides you with some of what you can expect when you hire Eric. Thank you for considering us! GITC™: To reach your destiny, you must get in the car. In his signature message, Eric takes you on the most challenging, yet encouraging ride of your life! If you've ever felt stuck, lost or disappointed, Get In The Car™ will help you get in the driver's seat. It's time to put your life in Drive! Click here to get more info about GITC™! FTOSOF™: Get ready to laugh, cry and cheer as Eric shares with you inspiring story of how he overcame his fear of swimming. In Faith: The Other Side of Fear, Eric helps you overcome your fears and kick down the barriers that are holding you back from achieving greatness in your life and living in freedom! Click here to get more info about FTOSOF™! SAF™: A spark can start a raging wildfire. Starting a fire in your life or business will increase your effectiveness and connectedness! If you want to help yourself, your team and clients grow and achieve more of their goals, you've got to Start A Fire. In this blazing hott talk, Eric helps you create a clear vision and plan on how to start your fire and keep it hott! Click here to get more info about SAF™! *A complete list of Eric's Speaking Topics is available upon request. It will be provided electronically. Take a peek at Eric's Speaker One-Sheet!